I hope you enjoy the first two books in my Echoes of the Cathars series. They’re designed for fans of Mary Stewart and Victoria Holt – romantic suspense with a Gothic edge. Louise’s story, set in 2017, is next! A great-aunt’s deadly fall down her 800 year-old staircase. Her niece’s baffling discovery that her great-aunt had sold her lovingly preserved medieval home the day she died. A surly giant of a new owner, insisting on his right to occupy. When Chantal Harrison commits herself to unraveling what—or who—forced Great-Aunt Jeanne to sell her beloved home, she is assailed with dangerous domestic accidents by day and maddening visions by night. 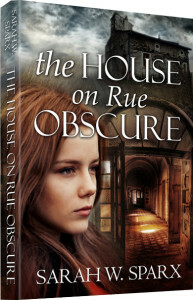 Is the house guarding its centuries-old Cathar secrets or is a modern day villain to blame? Forced into a wary alliance with Berenger Morel, the new owner, and her top suspect, Chantal soon finds her heart faces even more danger than her body and mind. When a skeleton is discovered on the Lascote estate, it triggers a series of events that reach back to the Albigensian Crusade almost eight hundred years earlier. 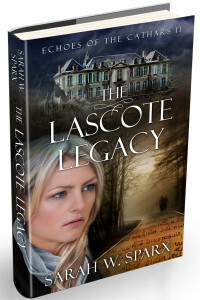 Could the key to the skeleton’s identity lie in the Lascote Legacy and the bizarre conditions it imposes on each successive heir? Paleo-anthropologist Lotty Harrison only wants to get back to building her career in old bones. Taking a quiet research job at Chateau Lascote to allay boredom as she recuperates from illness, Lotty quickly finds more challenging outlets for her skills and curiosity. What do the strange injuries on the skeleton in the forest pit mean? And what is the truth behind the founding of the Lascote dynasty in the Cathar era? When the estate’s new and reluctant heir, Paolo, arrives, matters escalate with a murder attempt. Lotty pitches in to help Paolo tackle the Legacy’s challenges. Surrounded by mysteries and secrets, she is soon sure of only one thing: Paolo’s old-fashioned attitude to women makes him the last kind of man she would ever have a relationship with. I’ve also written a number of short stories, including one sold to Australian Women’s Weekly. 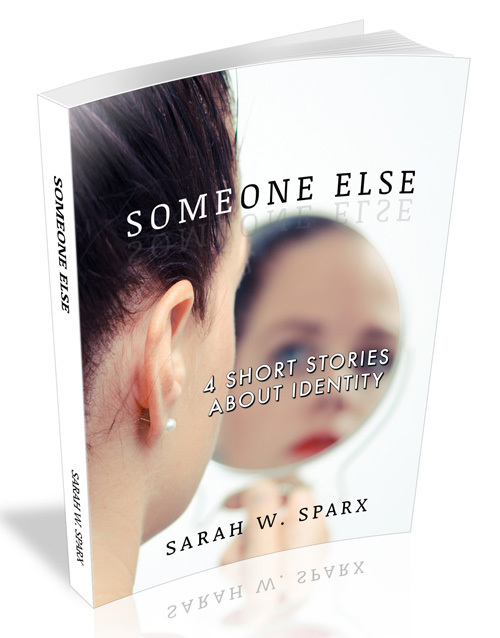 I’ve gathered four short stories, all on my favourite themes of identity and secrets, into a free e-book called Someone Else. 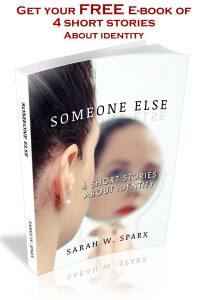 Please check out the sidebar to find out how to get a copy.